Lara N. almost always indulges in a glass of wine, sometimes two. And on weekend outings with friends, it’s not unusual for her to down three or four drinks in on sitting. But when she goes for her annual checkup, she seldom admits to drinking, even though her father is an alcoholic. “I don’t want the stress of having to defend my lifestyle choices,” says the 42-year-old executive assistant from New Jersey. Lara’s silence is far from uncommon. According to a Columbia University survey, more than half of women ages 25 to 49 routinely withhold information from their physicians. And really, who hasn’t stretched the truth just a little when pressed about personal details, whether it’s how often you floss or when you last hooked up with a new guy? “People don’t want to be scolded or judged. “And often they’re simply embarrassed to talk about subjects they see as taboo.” But honesty is the best policy at the doctor’s office: If you’ve made one of the following misleading statements, you could be seriously sabotaging your health care. Truth : You bum a cigarette from a colleague now and then. Consequences : More than one in 10 people who take at least an occasional drag hide the fact from their physicians, a according to a recent survey by the American Legacy Foundation, an anti-tobacco group. But if you’re not going through a pack a day, you’re not really a smoker, right? Wrong. “There’s no safe level of exposure, and even ‘social smokers’ are at risk for many conditions”. In fact, research has shown that puffing just one to four cigarettes per day raises your odds of having a major heart-related event nearly threefold. Smoking is also linked to sinus and upper-respiratory infection, emphysema, stroke, and, of course, lung cancer-so some screening tests may be in order. If you fess up, your doctor will think twice about prescribing hormone-based contraception (like the pill), because you’re more likely to suffer a blood clot or stroke. And if you get a bad cloth, she may want to monitor you, because people who light up are more apt to develop pneumonia. Yes, your admission might lead to a lecture on quitting-but you could also walk away with some good advice about how to do it! Truth : You frequently enjoy wine with dinner and often partake in several rounds during happy hour. Consequences : Technically that would make you a heavy drinker, defined by the Centres for Disease Control and Prevention as a woman who averages more than one alcoholic beverages per day. And if you knock back four to five at one time-as one in six Americans do—you’re binge drinking, which increases your chance of developing heart and liver disease, stroke, high blood pressure, and a host of gastrointestinal and memory problems. Heavy alcohol consumption also puts you at risk for addiction, and quaffing more than three drinks a day may hike your breast cancer odds by 30 percent. Along with the dangers of taking in unhealthy amounts of booze alone, it can also be problematic when used in conjunction with many meds-even OTC ones. For example, in chronic imbibers, taking just four to five extra-strength acetaminophen pills in one day can cause liver damage, and mixing certain antibiotics with alcohol can lead to scary side effect like dizziness and rapid heart rate. 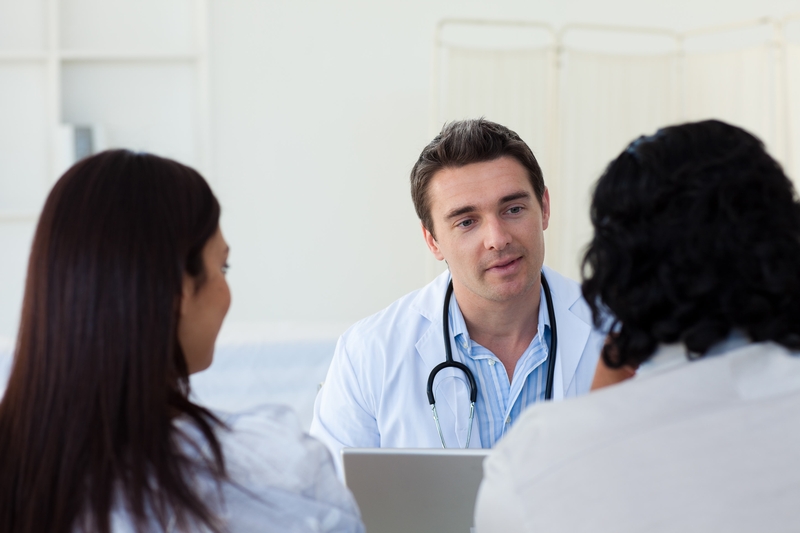 If your doc knows your background, he can help you steer clear of bad interactions. 3. Half-truth “I Eat A Healthy Diet. Truth : The scale says “healthy,” but the lemonade-cayenne “detox” concoction peeking out of your tote suggests otherwise. Consequences : “Cleanses and other extreme diets can interfere with kidneys function and protein levels,” says Wanda Filer, M.D., a spokesperson for the American Academy of Family Physicians. “And they may cause vitamin deficiencies, dehydration, blood-sugar imbalances, and loss of muscle mass.” If you’re struggling to drop pounds, your doctor can help you choose a safer way to drop pounds, your doctor can help you choose a safer way to do it or refer you to an expert she trusts (like a registered dietitian). Truth : You sometimes skip condoms and have even been treated for an STD before. Consequences : Aspects of your sexual history, including the number of partners you’ve had and having a TSD in your past, are among the top things women routinely lie about to their physicians. But hiding your previous and/or current sexual behaviors can be dangerous. Left untreated, STDs like chlamydia and gonorrhea can lead to infertility, and HPV can turn into cervical cancer-which takes the lives of 4,000 women each year. The good news is that promptly addressing these conditions can help you avoid the fallout. “You don’t have to divulge the exact number of people you’ve slept with if you’re feeling shy”. “But if you’ve had even one new partner since your last exam, ask to be screened.” Make sure to mention any STDs you may have been treated for in the past too, as it can affect your care. For example, if you’re having trouble getting pregnant or are experiencing painful cramping, your doctor should know to check for internal scar tissue that an infection could have left behind. Truth : You experience embarrassing intestinal trouble, such as gas, bloating, or constipation, on a regular basis. Consequences : Of the one in four Americans who suffer from gastrointestinal distress, 70 percent are women. “Our colons are longer, and they twist and turn like a Slinky, which makes it harder for food to get through. That’s one reason women are more prone to irritable bowel syndrome, or IBS (characterized by chronic constipation and/or diarrhea) —- a condition that can often be controlled with dietary changes. Switching up what your eating could also make a huge difference if you suffer from celiac disease (an adverse reaction to gluten) or lactose intolerance (difficulty digestion milk). Sometimes these symptoms also warrant testing for more serious underlying conditions. Bloating, for instance, could signal ovarian cancer; persistent stomach cramps could indicate an autoimmune disorder like Crohn’s disease; and blood in the stool is a possible sign of colon cancer. To put your mind at rest,give your M.D the disconcerting details. Trust us —- she’s heard it all. Truth : You pop vitamins and herbal supplements without giving them much thought. Consequences : “When we ask patients, ‘What drugs are you taking?’ they don’t list herbs because they don’t think of them as powerful,” says Filer, “but they can be.” So you may be trying out biotin for strong hair and nails like your mom recommends, the acai that your gym buddy loves for weight loss, or the kava your sister swears is as relaxing as a glass of wine, without understanding the impact they could have on your body. For example, herbs like kava and comfrey can damage your live, while vitamin E can cause bruising and bleeding. And if you mix supplements with medication, you could end up making them weaker or stronger. If you combine St. John’s wort with an antidepressant, for instance, the effects could be magnified, notes Filer. Meanwhile, a multi with vitamin K, which increases blood clotting, could interfere with blood thinners. Hard to keep track of? Definitely! But that’s why you should talk to your doctor-about this and everything else that pertains to your body, your mind, and your life. Remember, when it comes to managing your health, there’s no such thing as TMI! It’s no surprise that lots of people knock down the numbers a bit when asked about their weight-but it turns out that 64 percent of women also overestimate their height, according to recent research. That can throw off your perceived body mass index, which in turn could confuse your doc about your health risks. Not sure exactly how high you stand or whether you’ve shrunk a little over the years? Don’t play the guessing game. Just ask the doctor or nurse to measure you the next time she checks your weight.